Burntisland Shipyard 0 Colville Park 7, 12/08/2017. The Recreation Ground, Scottish Cup First Preliminary Round. 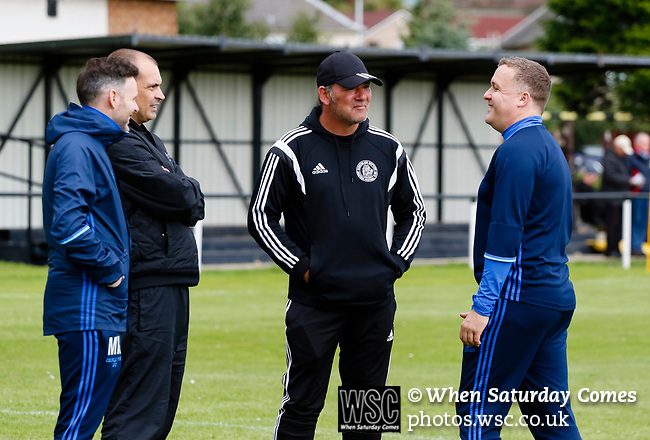 The two management teams chat before the game. Photo by Paul Thompson.